In the United States, there’s no universal standard for methods or materials, or a regulatory system in place governing the manufacture of gun safes. Therefore, the gun safes are not manufactured the same. There are different brands and types of gun safes available in the market today. Measure every item you’ve or will have to put in your gun safe, including all non-gun items. Once you have the overall measurement worked out, find a safe that’ll fit the collection. Then, purchase a unit that is one size bigger to prevent the need to purchase a second gun safe soon. Buy a gun safe with high tech and superior locking mechanisms. You don’t want a burglar or your children to access the guns in the safe. 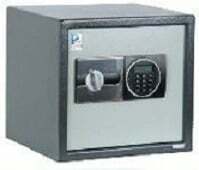 Modern gun safes can be accessed via thumbprint, password, or even voice activation. Look for a gun safe that only you and other trusted personnel can open. You never know when the fire might break out on your property. Therefore, you need a gun safe that has a fire protection feature to ensure a fire outbreak will not damage your guns and ammunition. A natural disaster such as fire or flood will not damage your gun safe easily if it ever happens. Therefore, fire protection feature is very beneficial, especially if you’ll keep other valuables in your gun safe. You may find several costly gun safes, Roseville, MI that lack the same features and durability as other low-cost safes. The price of a gun safe does not necessarily reflect its quality. Consider looking at safety and protection features of a safe instead of looking at its price. Remember that purchasing a gun safe is a significant investment that’ll benefit your life tremendously. As with any purchase of a product, ensure to look at the warranty of a gun safe closely. Read the fine print carefully. Gun safes manufacturers usually provide a warranty that has a year’s duration because a malfunction may occur within this period. Some manufacturers also provide special plans that allow you to extend the warranty period. A lifetime warranty will keep you from having future headaches. If there’s an option for such a warranty, consider it very well. Great Lakes Security Hardware is a reliable gun safes dealership in Roseville, Michigan providing high quality and affordable safes. Contact us, and we’ll help you find a gun safe that best suits your needs. Please give us a call today at 888-855-6257 if you’ve any questions. We look forward to assisting you!